Rockets also come in a metal detectable version which has a new metal detectable cord. The bright blue color is perfect for food processing applications. The enclosed metal spring eliminates any exposed metal. The earplugs are corded to prevent earplug loss. 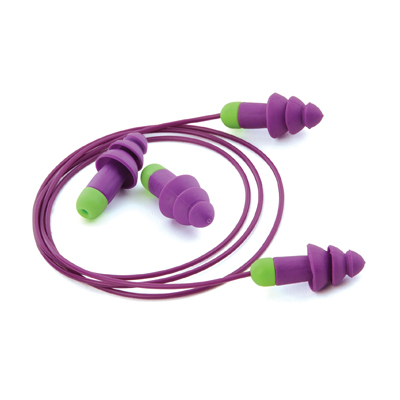 Rockets reusable earplugs are designed to give you a great grip. 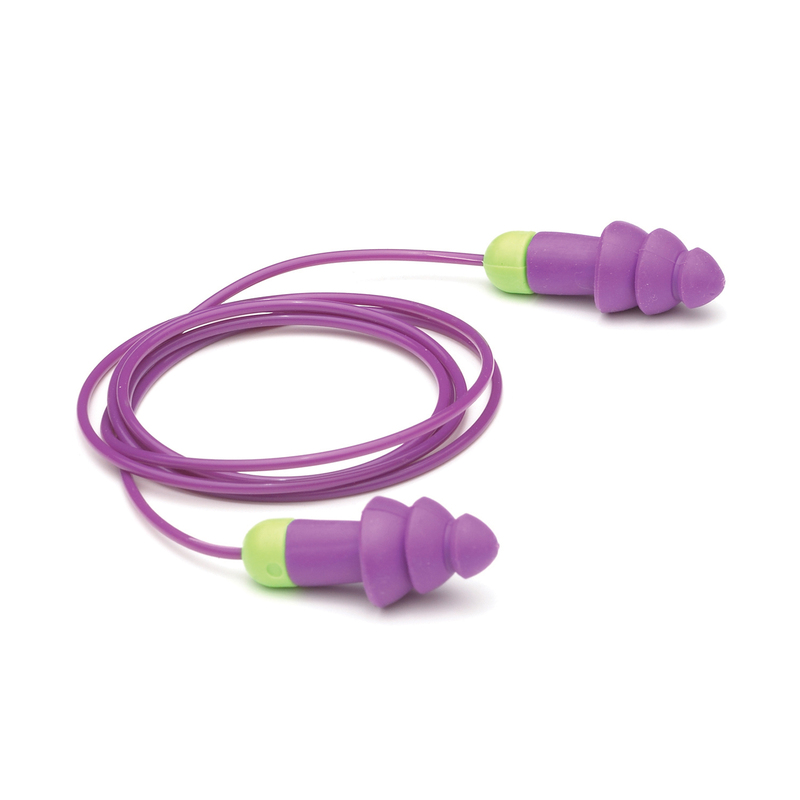 The easy grip handle lets them easily slip into the ear. Rockets features an air bubble in the tip providing cushioned comfort and a triple flange design that provides maximum comfort for all day wear. The soft flexible flanges provide a superior seal and fit most ear canals. Rockets earplugs can be washed and reused. Each pair comes with a Pocket-Pak carrying case to keep them clean when not in use. The smooth shape slides easily into your pocket.